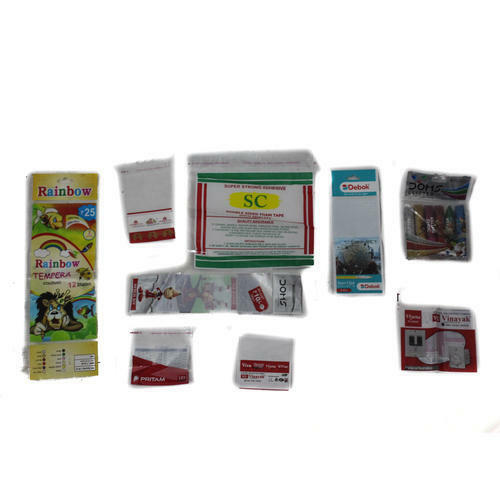 In order to keep pace with never ending demands of the customers, our company is instrumental in offering BOPP Pouches. Established in the year 2006 at Mumbai, Maharashtra, we “Shreeji Enterprises” have started the business as a sole proprietorship (Individual) owned firm. Ever since the establishment, our company is indulged in manufacturing a comprehensive range of PVC Shrink Labels, Printed BOPP Rolls, and much more. All products are designed by trained personnel, keeping the existing market requirements in mind. As a result, our company has been successful in getting orders from the large customers repeatedly.